It's always important to consider experience, price and service levels when selecting a HVAC services provider for your home or office. 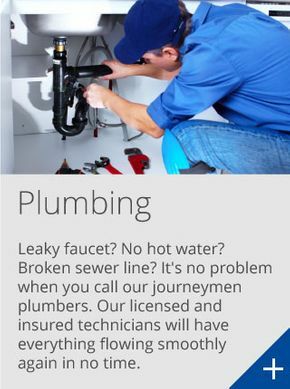 LD Plumbing & Heating has over 30 years of industry experience, and we fully guarantee all of our products and services. A: With regularly scheduled maintenance from a qualified HVAC technician, most heat pump/air conditioning systems will last an average of 12-15 years – longer if you live near a sea coast. Gas furnaces can last up to 20-25 years. Turn down the heat at night or whenever you're not home to reduce strain on your system while also helping you reduce your energy bill. Stage 2 (backup heat) will turn on automatically as determined by your thermostat. Heat pumps will auto-defrost more regularly in colder weather. Heat pumps are designed to work 100% of the time during cold weather. Stage 2 will turn on to assist your heat pump in effectively regulating the temperature of your building. When you install a heat pump, you'll need to change your furnace filters more regularly since the furnace fan will be running more frequently. It will create cleaner air, but require more cleaning to operate at maximum efficiency. Unless your power goes out, you will always have heat in your home. Switch to EM Heat from the system switch of your thermostat. Doing this will disable the heat pump and switch to your backup system. The 5 minute time delay between adjusting your thermostat and the heat pump turning on is normal. Always brush away excess snow buildup from the exterior component of your heat pump. It's normal for water to form around the base of the heat pump in the wintertime. It's also normal in the summer for the indoor portion of your heat pump (the coil) to release water into your drain. If water leaks onto your floor, this could signify the drain is plugged or the condenser pump is malfunctioning. Air conditioning is not designed to perform below 21.1 degrees Celsius (70 Farenheit). Don't set the thermostat below 21.1 degrees Celsius (70 Farenheit) for cooling, or coil icing could result. It's common for your heat pump to trip the 2 pole breaker in the electrical panel. Ensure that the breaker has not tripped, and reset if necessary. First make sure the filter is not plugged or obscured. If you have an oil furnace as a backup heat source, the burner reset can trip because of a lack of use. Try resetting the red burnet button on the oil furnace. Be sure to only push reset ONCE.